Center Links - often called Drag Links - are the critical connection between the driver side and passenger side steering. Proforged Center Links feature the same ball joint technology that made them famous, ensuring that your vehicle retains crucial alignment settings for miles to come. Proforged Center Links are built to strict tolerances using the latest innovations in steering technology, ensuring crisp, predictable handling. Laboratory tested and proven in the real world, Proforged Center Links feature improved design over the competition for increased longevity and durability, even in the most demanding conditions. 1,000,000 MILE WARRANTY. You can install our center links and drag links with confidence knowing that every part we sell is backed by our industry-leading 1,000,000 mile limited warranty. We can offer this because our parts are engineered, tested, re-tested, and subject to strict quality control procedures - our quality is second to none. CRAZY STRONG CENTER LINKS. Proforged center links are built using some of the toughest steel on the planet. 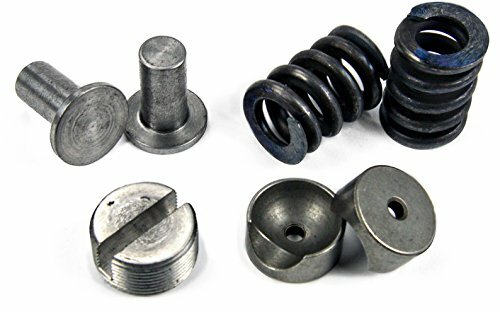 Forged SAE4140 chromoly steel studs are enclosed in forged SAE1045 housings, heat treated for strength and durability, and every fit surface is CNC machined for precision fit and finish. Each unit is sealed with specially-designed CR-rubber boots for ultimate durability. BUILT FOR PROFESSIONALS. There's a reason why the most well-respected performance suspension brands use Proforged products - we're fanatical about quality, performance, and durability. Professionals save time and money with our competitively-priced products that outlast inferior brands. Do the job with confidence - replace your worn components with the leader in performance center links: Proforged. WHAT IS A CENTER LINK? A center link (also known as a drag link) is part of your vehicle's steering system - it ties various steering components together to allow your wheels to turn. Center links are built with a ball-and-socket design, just like your hip, and need to be replaced as they wear out. A worn center link causes poor handling and makes it difficult or impossible to achieve an alignment, which leads to rapid tire wear. Replacing your worn center link gives a noticeable improvement in steering feel, handling, and safety. Center Links often called Drag Links are the critical connection between the driver side and passenger side steering. Proforged Center Links feature the same ball joint technology that made Proforged famous, ensuring that your vehicle retains crucial alignment settings for miles to come. 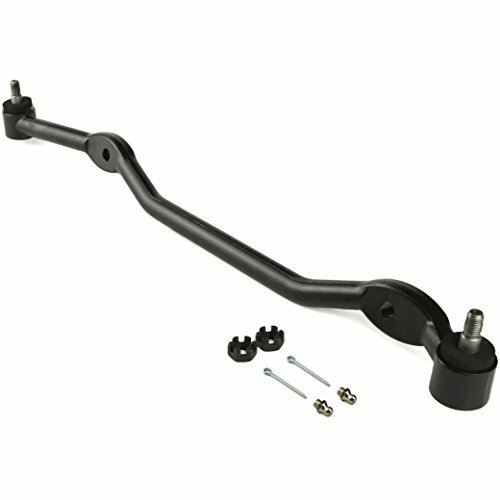 Center Links are often called drag links and they are the critical connection between the driver side and passenger side steering. Proforged center links feature the same ball joint technology ensuring that your vehicle retains crucial alignment settings for miles to come. Whether you're working on a muscle car, truck, or a daily driver, Proforged Center Links are built to withstand the rigors of real-world driving. Using the same technology that made their ball joints famous, Proforged Center Links yield a significant improvement over worn or loose components - giving you the confidence you need on the road or track. 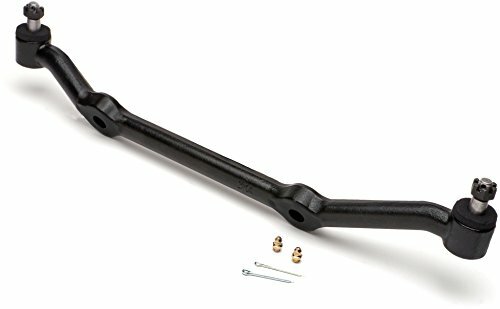 These premium quality center links feature SAE4135 chromoly ball studs and forged SAE1045 housings for rugged durability, and every critical surface is CNC machined for a precision fit. Proforged's heavy duty rubber boots are specially designed to keep grease in and dirt out, ensuring tight, predictable steering under the most demanding conditions. 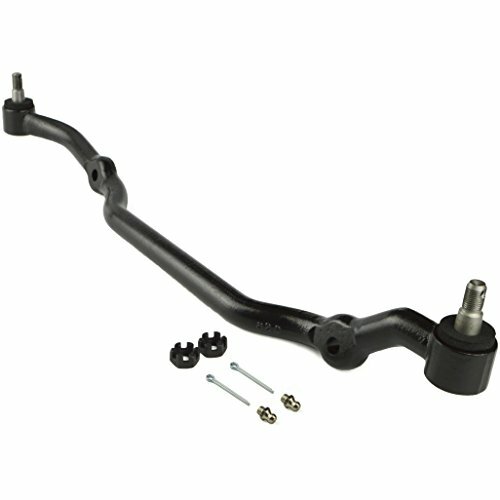 When it comes to your steering system, accept no compromise - choose Proforged. Save time and money by purchasing all of the necessary components in one complete kit. Trick, billet aluminum adjusting sleeves save weight while eliminating steering slop and making adjustments a breeze. 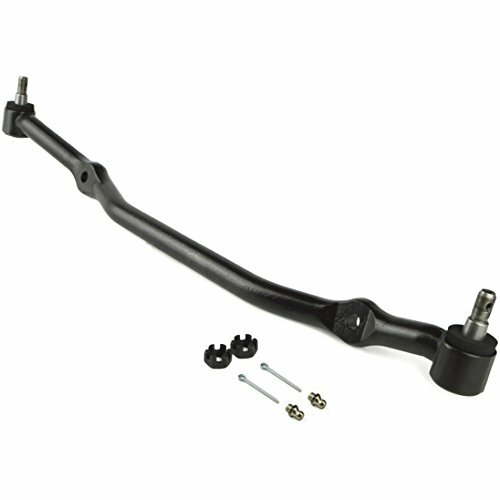 Proforged steering parts feature forged steel housings and ball studs for ultimate strength and durability. They're precision CNC machined for excellent fit and finished and then sealed with durable rubber boots to keep grease in and dirt out. 1,000,000 MILE WARRANTY. 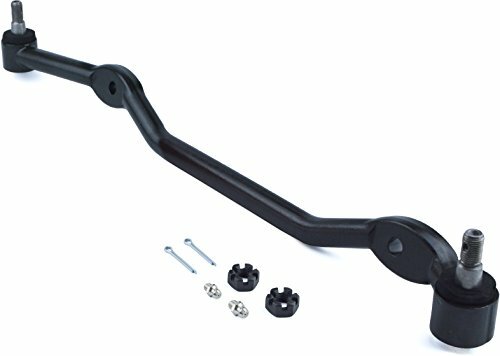 You can install our steering kits with confidence knowing that every part we sell is backed by our industry-leading 1,000,000 mile limited warranty. We can offer this because our parts are engineered, tested, re-tested, and subject to strict quality control procedures - our quality is second to none. CRAZY STRONG STEERING PARTS. Proforged steering kits are built using some of the toughest steel on the planet. Forged SAE4140 chromoly steel studs are enclosed in forged SAE1045 housings, heat treated for strength and durability, and every fit surface is CNC machined for precision fit and finish. Each unit is sealed with specially-designed CR-rubber boots for ultimate durability. BUILT FOR PROFESSIONALS. There's a reason why the most well-respected performance suspension brands use Proforged products - we're fanatical about quality, performance, and durability. Professionals save time and money with our competitively-priced products that outlast inferior brands. Do the job with confidence - replace your worn components with the leader in performance steering kits: Proforged. Center Links often called Drag Links are the critical connection between the driver side and passenger side steering. 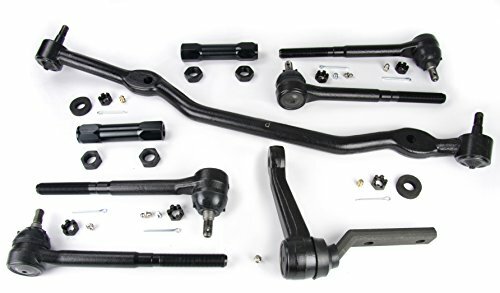 Proforged Center Link Repair Kits restore your vehicle to factory-new condition, ensuring that your vehicle retains crucial alignment settings for miles to come. Links add strength and adjustability. Correct bump steer with specially designed inserts (available separately or in kits). Lower center design adds engine oil pan clearance. 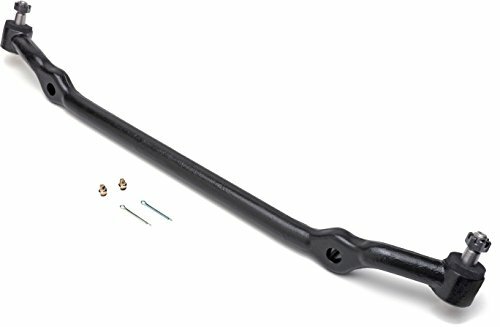 OEM frame cross member must be modified.